At RMC we pride ourselves on being a community which cares about academic achievement. We host dinners and suppers that allow our residents to explore different ideas and to meet academics and professionals in their fields. We have a large group of academic tutors made up of residents – thus providing both academic support, and academic jobs for many of our residents. Postgrad students have chances to share their research interests with their fellow postgrads over regular suppers designed for the interaction of people and ideas. One of the things I love most about college, however, is the informal opportunities to indulge in our academic interests. Residents who are doing the same course will regularly study together, even getting into long, late-night conversations about politics, law, ancient history, literature, or whatever their interest is. Groups of residents will head off to an astronomy night at the Macquarie Observatory, or to the latest museum exhibition. As Dean of the college, I consider it an important part of my role to encourage academic enthusiasm, to break down the idea that university is just about passing subjects in order to get a degree. Last week I had a chance to demonstrate my own academic enthusiasm, when I was interviewed on Hope 103.2 about the death of Jane Austen, one of the authors I focused on in my PhD research. It was great fun, but also shows RMC’s commitment to learning and to following our passions. 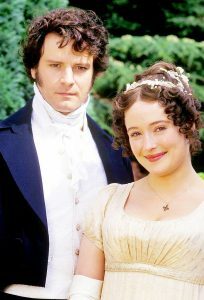 Studying Austen is not a sure-fire way to get a job, but research and learning are about more than simply preparing us for our professional lives. We read, we investigate, we discover, because we have an amazing world, full of amazing people and events that deserve our attention. While we want all our residents to successfully complete their degrees and go on to achieve their professional goals, we also want them to leave RMC with a love of life-long learning, keen to follow their interests – whether professionally or in their personal time – for the rest of their lives.